Do you believe the United States is at war? Is there a declared War on America underway at this time? Has it been underway for almost 20 years? The answer is yes to all three questions. If you said "no" to any of these questions you are wrong! You have most likely been infected by the agenda peddling of the American mainstream media. To help you understand the facts, watch the National Geographic documentary, Inside 9/11-War on America. This series can be purchased at NatGeo or you can view it on YouTube. The YouTube videos are divided into 12 segments, segment 1 of 12 can be found here. The other 11 episodes can be found in the same YouTube area. Some like to make fun of the title "War on Terror". "What kind of war is that?" "It is a made up War." "We are fighting a War in Iraq and a War in Afghanistan, not a War on Terror." Well, as for fighting individual wars, that is just moronic. We were fighting multiple fronts in Europe and Asia as a part of the WWII effort. This War on Terror effort is and will continue to be fought on multiple fronts (Afghanistan, Iraq, now ISIS, Libya, Yemen, maybe Iran, and unfortunately here at home). So, call it anything you want, but it is real. And, as with every other war, history will find an appropriate label for this conflict and this period in human history. 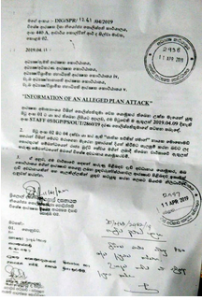 If you believe that this threat is over now due to the killing of Osama Bin Laden on May 2, 2011, then you are again wrong. The War on America continues. This unconventional war was helped by having an inspirational leader like Bin laden, but survives with the same objective to destroy "the great Satan", infidel America in a decentralized and dangerous structure. While America has many enemies at home and throughout the world, we must as a country accept the fact that right now the far greatest threat to our way of life and America as the great hope for humanity comes from Muslim extremists (both external and internal). To assume differently is naive and will be catastrophic for America and Americans like you. Following and in the sub categories will include stories and comments on this subject to give you varying perspectives. We trust it will helpful to your developing recognition of the continuing threat and be a strong voice in helping our leaders create an effective strategy for VICTORY. For 5 ways to survive a terrorist shooting at your office or any public place, check this video. The confidential security memo laid it all out: names, addresses, phone numbers, even the times in the middle of the night that one suspect would visit his wife. 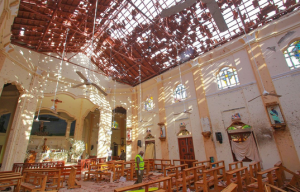 In the days leading up to the devastating suicide bombings that killed nearly 300 people in Sri Lanka on Easter Sunday, the country’s security agencies had been closely watching a secretive cell of the National Thowheeth Jama’ath, a little-known radical Islamist organization that security officials in Sri Lanka now say carried out the attacks and may have received help from abroad. They knew the group was dangerous.